For office buildings, supermarkets that have to deal with lighting and air conditioning, with modular constraints, KNX equipment is a complete interoperability solution. 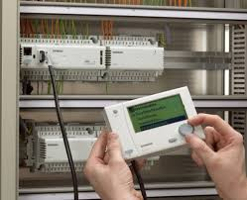 The SAIA controllers allow to take all the KNX information through couplers, and to interact with all the equipment. The KNX information can then be treated like any other variables in a webserveur supervision with alarm functions and trend records. 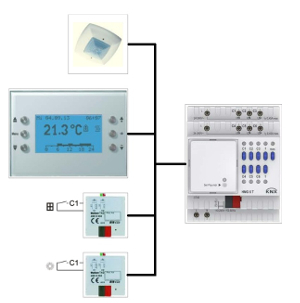 The combination of a SAIA controller used as a web server monitoring coupled with a KNX installation makes it a particularly economical solution, in terms of electrical wiring, and the purchase of equipment.